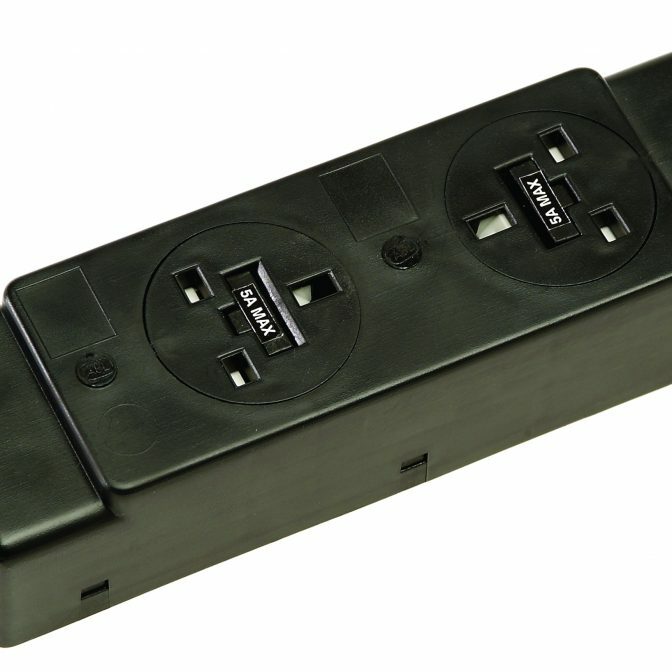 The Konsort range of power modules have a unique benefit: A spare fuse incorporated in EVERY socket! Helps overcome common problems such as Desk Sockets being used for Vacuum Cleaners and other ‘Non Office Equipment’ appliances that are overrated. Simply pull out the integral fuse holder (similar to ordinary 13A plugs) the first fuse revealed is the SPARE fuse, the second or lower fuse is the working fuse. If the fuse has failed then simply replace the working fuse with the spare (after rectifying the fault that caused the fuse to fail) and your power socket will be working again. Remember to order spare fuses to replace the one used! In addition the raThis enables Konsort to screw onto aluminium channels and other areas where in line fixing is required and improves the integrity of the fixing. Fixings are also concealed for aesthetic purposes and to inhibit unauthorised removal or tampering with the fixing. Common fixing centres make life easier – one set fits all Power modules. Available in popular combination covering 2, 3, 4, 5, and 6 Gang configurations. Switched and unswitched modules are available. Each module may be directly linked to another – including Data Housings (see here) to achieve even more complicated requirements quickly, easily and cost effectively. Please contact the sales office for further informationnge now has the added benefit of inline through housing fixings.